Welcome to Montsalvat, where the life of art is lived and a fabled past meets a vibrant present. 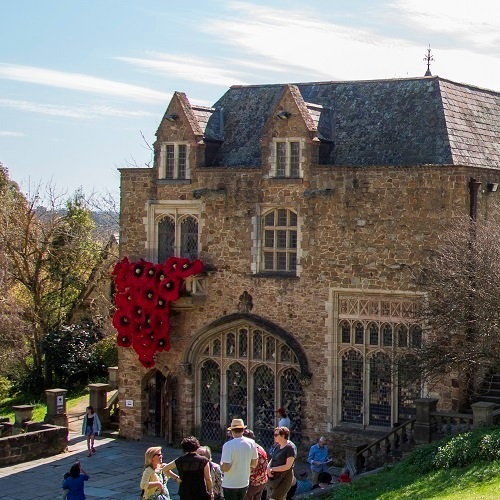 Montsalvat is Australia’s oldest continuously active artists’ community; a place where art in all its forms is made and taught, and art’s transformative power is celebrated in exhibitions, festivals, concerts, workshops and artists’ residencies. Our vibrant and diverse community is made up of the many participants in our arts program, as well as the 20 or more artists and artisans in studios onsite. The breadth of artists involved includes visual artists, musicians, writers, poets, composers and artistans. Our program of exhibitions, concerts, festivals and creative events promotes local, national and international cultural practice. Ceramics courses are now available in our new centre, Clay Talk @ Montsalvat. Clay Talk extends the rich tradition of artists and artisans making and teaching at Montsalvat on a regular basis. Other Arts Education offerings include classes, workshops and artist floor talks. Where memories are made, discover yours today. From mud-brick cottages, stone buildings, artist finishes and spectacular grounds; Montsalvat is the ultimate backdrop for your film & photography story. From workshops and meetings for 10 people to conferences, birthday parties, anniversaies and product launches for 200, Montsalvat is the unique venue you have been looking for.